And so it is written. The first 32 movies have been watched, rated and battled and 30 have gone the way of the Harry Potter franchise, and that’s to say that it’s over. 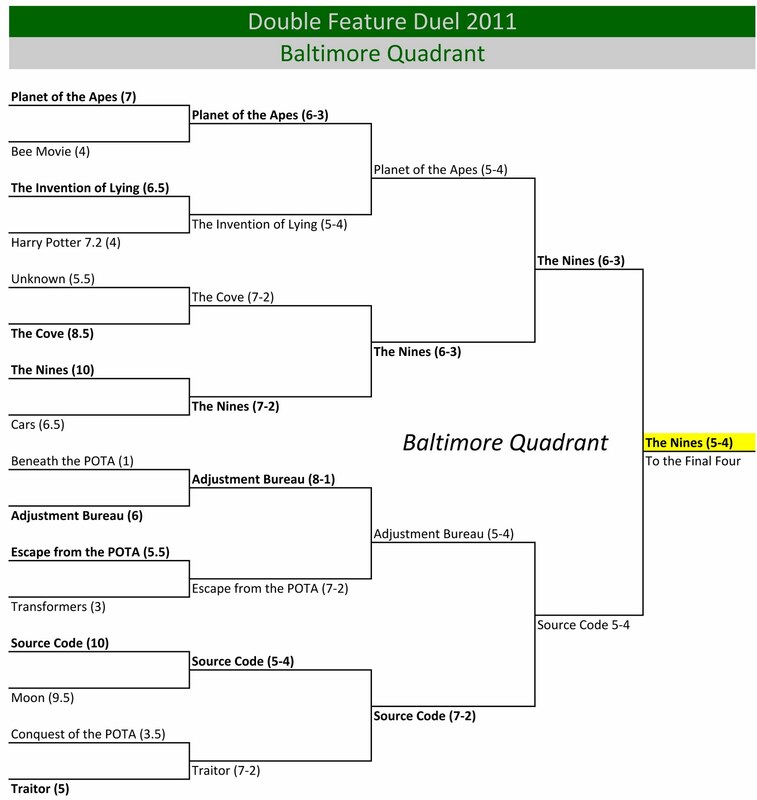 Congrats to Big Fish and The Nines who shocked no one – or at least no one who wasn’t shocked by the ending of Transformers – and made it through to the Final Four. Once the second half of the bracket has been whittled down to the other two Final Four teams, I’m going to watch all four movies again and determine an overall winner of this silly little game. And then I’ll hopefully turn my sites to more productive endeavors. Like logging all of my cassette tapes into an excel file. 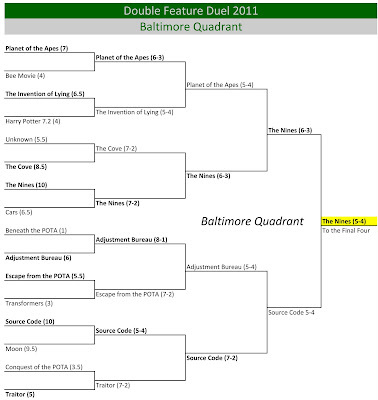 Franchise: I got into the Planet of the Apes movies in preparation for the new movie and 4 are represented in the Baltimore Quadrant, all from the original 60s and 70s series. They went 3-3 and had an average of 4.5 bug rating. 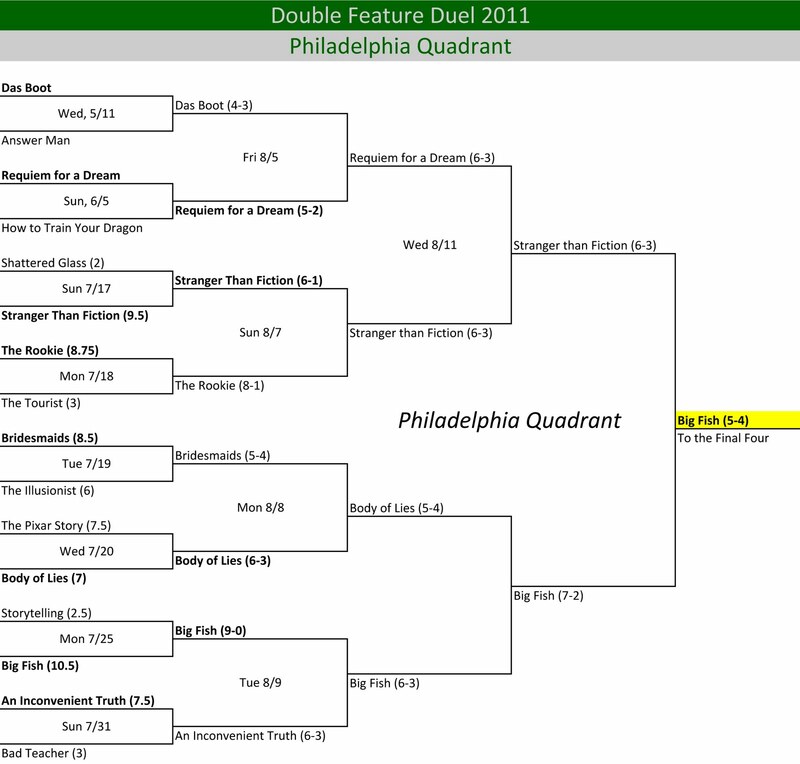 The original with Charlton Heston made it to the Sweet 16. Documentaries: Documentaries and movies based on real life events are going to have a tough time with these categories. They went 2-4 with An Inconvenient Truth and The Cove getting to second round. 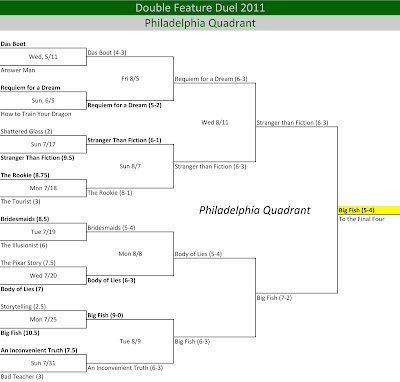 Also, you’ll note the names of the brackets go in order of where I lived. In case you were dumb or don’t know who I am. In which case, why the hell are you reading this? And thanks. Tell all your friends.